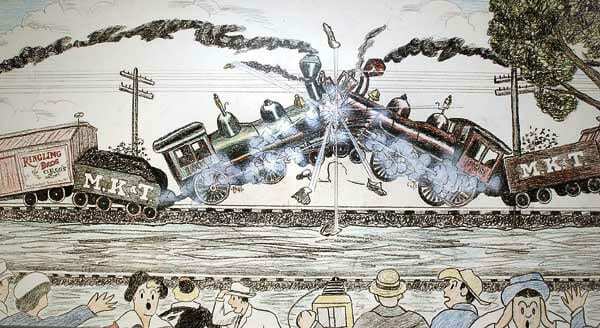 Stock Market Trends-Is the Stock Market Heading for a Crash? Blog Stock Market Trends-Is the Stock Market Heading for a Crash? This Bull started off as the most hated bull market in History, and it is now metamorphosing into the most insane of all Bull Markets. By any measure, this Market needs to let out some steam as it is trading in the extreme of the extremely overbought ranges. Historically, the crowd is almost always in the bullish camp at this stage of the game, but that does not appear to be the case. In fact, what stands out is that the masses are as anxious as ever, and yet the markets are trading close to their highs. New Stock Market Trends in Play? 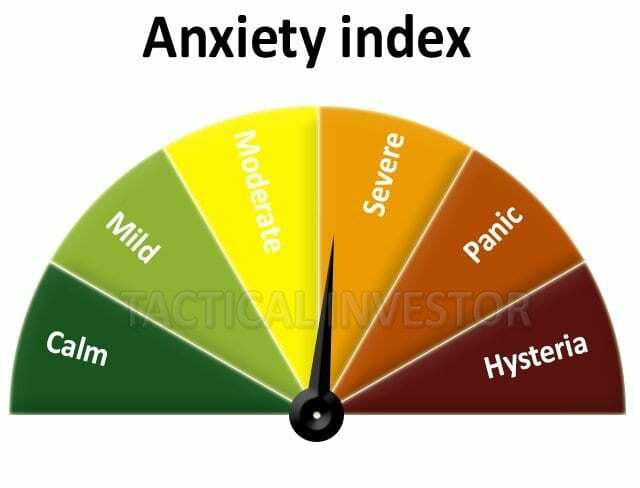 Emotions are driving this market to such a degree that traders would do well to pay close attention to the psychological state of the masses than to technical indicators. At this point, all we have is the technical factor, which means that a sharp correction (something that we would fully embrace) might not occur as the fear factor is already rising. After all these years of looking at the markets, we cannot help but note that we have an extremely unusual situation developing. The markets are begging for a reason to correct, but the very reason they need is entirely lacking. Before a correction, the masses are usually optimistic and bullish, but this is not the case. From being the most hated it is moving into the most insane bull market as all the standard rules that apply to a Bull Market are being flung out of the window one at a time. When markets are trading in record territory, the crowd is almost always bullish and complacent to some degree; all you are trying to do is measure the level of bullishness or complacency. However, as stated before this market is not following that guideline; it will be interesting to see what path the markets take; will the market’s pullback sharply even though the crowd is already anxious? Fear in our books is a useless emotion that is abused by almost every media outlet, both financial and non-financial in nature. We believe in being aware of what is going so that we have the opportunity to act in a calm and collected manner. At this point, we favour a sharp correction, but our opinion is of little value; markets take the utmost delight in trying to punish those who have firms views. We have never witnessed a market pullback sharply no matter how overbought it is when the fear factor is high. However, there is always a first time or the possibility of something different occurring; hence, the need to always be ready and willing to adapt to change. If the market pulls back strongly while the crowd is still anxious, then we are moving into a new paradigm, and we will adjust accordingly. We are not going to think about it, or try to fight it; if the trend change occurs; there is only one option, accept and adapt to the new trend or resist and be run over. Even, we after looking at the markets for so many years have to shake our head and marvel and the huge dichotomy taking place in the markets right now. A few years ago, if someone told us we would be facing this situation we might have attempted to put up an argument as such a concept would seem almost incredulous, but today we should be ready and willing to deal with every possibility. At this point, it is all about being patient and observant; the markets are trading in the extremely overbought ranges, and therefore prudence is warranted. Our plan is to wait for our indicators to pull back to the oversold ranges and in the interim to only open positions in stocks that are trading in the extremely oversold ranges to minimise our downside risk. If you are a conservative trader, the suggested game plan would be to sit on the sidelines or scale back on your long positions and to tighten your stops. If you are not a conservative player then taking on some calculated risk is fine but aim for quality stocks that have pulled back or trading in the extremely oversold ranges and have your stops in place. One thing investors should keep in mind regarding market trends going forward; free market forces ceased to exist a long time ago. What we have now is the illusion that the markets are free Everything is manipulated; from the food, you eat to financial data you are fed. Identifying the problem is over 80% of the solution, and this is why most people do not know what to do because they do not understand the problem. Stock Market Crash 2017 or stock market crash 2016, the story is the same; only the packaging changes. Don’t follow the masses for they have an uncanny knack of doing the wrong thing at exactly the right time.